We met with Texas Instrument's Frank Moizio - Manager, Emerging Markets - to discuss the latest innovations using DLP technology in pico projection. Featured products include Optoma PK101 pico projector, Samsung projector phone, WowWee swivel with 3-hr battery, WowWee cinemin stick with media player and more. HONG KONG - January 6, 2009 - WowWee, an Optimal Group company (NASDAQ:OPMR), announced its newest line of innovations scheduled for release in 2009. Taking projection out of boardrooms and movie theaters and into the palm of your hand is WowWee's Cinemin™ suite of ultra-portable multimedia micro projectors, powered by Texas Instruments' DLP Technology for ultra clear picture quality. 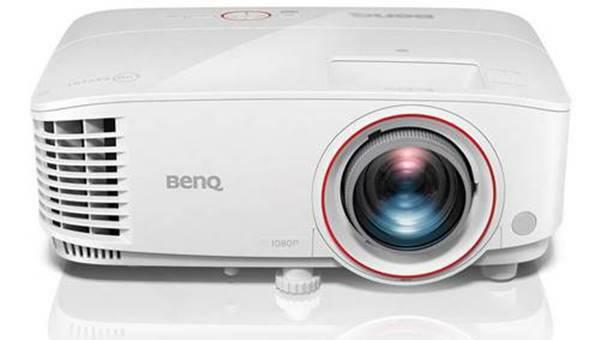 Utilizing the same technology commonly found in high-definition TVs, classroom projectors and large-scale cinema houses, the Cinemin projectors have been designed to work with popular mobile devices, such as the Apple® iPod and iPhone®. With WowWee's Cinemin™ suite of projectors, a café becomes a boardroom, a camping tent becomes a theater, and Grandma's curtains become a life-size digital picture frame. The Cinemin Swivel™ pico projector, an affordable lightweight micro projector that is roughly the size of a candy bar and features an impressive 3-hour battery life for movie watching, full volume control, and a unique adjustable 90-degree hinge for ceiling projection. The Cinemin Stick™ pico projector is a compact micro projector with internal memory and an expandable SD card memory slot that puts your favorite web videos, digicam snapshots, ambient animations, and more on display. The Cinemin Station™ pico projector is an alarm clock-sized convenient media center and iPod docking station for big pictures with big audio. Its a fantastic idea to have a micro mini portable projector working on chargeable battery. I am looking forward to further developments on this tech in terms of higher battery life, stability in performance and wider input availability.